Nakia is using Smore newsletters to spread the word online. The Learning Curve is our monthly newsletter. This informational letter will highlight events occurring in City Schools sponsored by the office of Teaching and Learning. Each month we will provide updates from every content area as well timely information for teachers and leaders. We hope you enjoy our first issue. Classroom teachers are integral to the success of the school year. Teachers have the ability to make the most challenging concept easy to understand for all students. In this evocative Boston Globe Magazine article, novelist Steve Almond remembers the precise moment when he felt literature come alive: his ninth-grade English teacher picked up a copy of The Catcher in the Rye and read the first chapter to the class. “Nearly every person I know has some version of this story,” says Almond: “The moment when a teacher changes the course of your life. Thank you to all City Schools Teachers! Thank you for challenging and caring about all of your students and for making the end of the school year a success for all kids. In this thoughtful article in Principal, Arkansas principal Regina Stewman draws a distinction between situational poverty – usually a temporary condition in a family caused by the loss of a job, a divorce, or a death – and generational poverty – the family has been mired in substandard conditions for decades. “Students living in generational poverty often exist in survival mode,” says Stewman. “They endure stressors such as abuse, hunger, and early imposed responsibilities for younger siblings. They lack goal-setting skills that will help them plan ahead.” These conditions have a direct impact on school achievement. These beliefs and a lot of hard work have produced solid results: the school is in its third year since Stewman opened it in 2011, and students are scoring in the 80th percentile in reading and math and making steady progress. “Open Doors for Students in Poverty” by Regina Stewman in Principal, March/April 2014 (Vol. 93, #4, p. 18-21), www.naesp.org; Stewman can be reached at rstewman@sdale.org. Three of our AP English teachers have been chosen by the CollegeBoard to present at this year’s national AP conference in July. The team of teachers includes Margaret Ondov (FAET), Sara Henschell (Augusta Fells Savage) and Richard Gold (Mervo) and they will present a session entitled “Addressing Skills Deficiencies in Urban Student Populations.” The collaborative work of these teachers, from three separate schools, began as a result of this year’s efforts to offer differentiated AP sessions as part of systemic PD days. A team from City College, led by Principal Cindy Harcum, was selected to present a session entitled “Closing the Achievement Gap through IB: A School’s Journey” at the IB Conference of the Americas this July. Congratulations to the Baltimore City College choir for qualifying for the state choral festival at the Baltimore City Choral Adjudication festival on February 28. 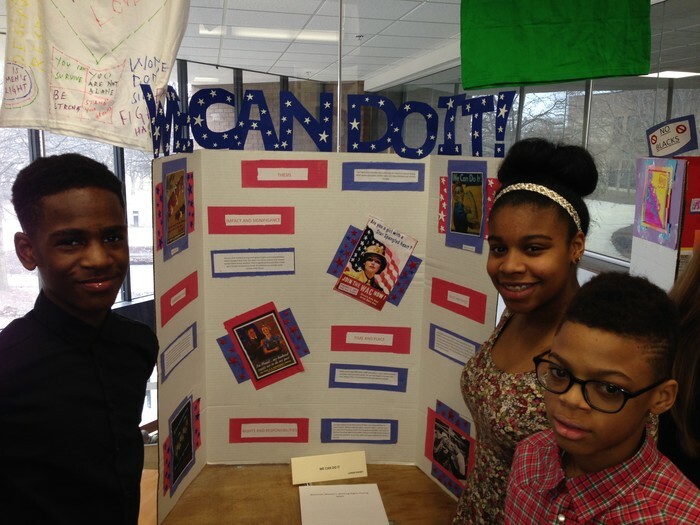 Baltimore City Public Schools had phenomenal representation in History Day this year. History Day includes completing an in depth research project and then presenting it to judges. The students have the choice on how they display their research. The categories include: research paper, museum exhibit, website, documentary or performance. We had 1600 students complete projects for in school competitions from twelve different schools. This was the largest number of participants that Baltimore City has ever had and it yielded amazing results. On Saturday, March 22, 2014 we had 257 students from Baltimore City Public Schools go to CCBC in Dundalk for the Regional History Day Competition, where they competed against Baltimore County and local private and parochial schools. In the Junior Division, which includes grades sixth to eighth, Baltimore City took home 12 awards out of a possible 17. In the Senior Division, which includes ninth through twelfth grade, Baltimore City took home 6 awards out of a possible 17. This was an amazing showing by Baltimore City Public Schools. 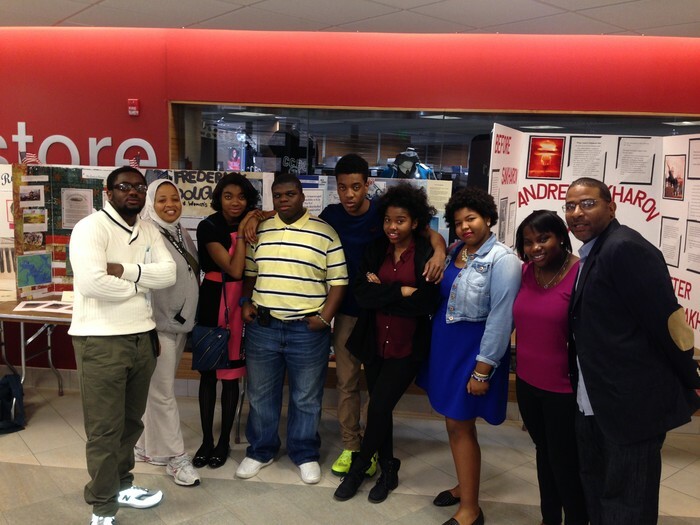 The advancing students will compete at the state competition on May 3, 2014 at UMBC. For us to continue to fund First in Math schools, we need high participation in our schools. Remember, First in Math's Just the Fact's can really help our students gain mastery on the fluency expectations that are defined by the Common Core Standards. Students can access the program anywhere. Hampden Elementary; John Eager Howard Elementary; Thomas Johnson Elementary; Lakewood Elementary; Mary Anne Winterling Elementary; Maree Garnett Farring Elementary; Hazelwood Elementary; Thomas Jefferson Elementary; Graceland-O'Donnell Heights. Due to changes in the school calendar, adjustments have been made to the testing windows for the elementary units of study. Please refer to the testing calendar that is posted on TSS. May 6th will be our last Math Representatives meeting. The meeting will be held at PDC. Further information will be shared with the Math Representatives. Baltimore City Schools and the College of Notre Dame are launching its first cohort for the Mathematics Instructional Leader Master’s Degree and Certification for Baltimore City PreK – 6 and Grades 4 - 9 Teachers. Notre Dame’s program prepares elementary mathematics teachers to be mathematics instructional leaders. The curriculum is based on NCATE and Common Core Standards, and classes will be offered Fall, Winterim, Spring, and Summer. Students will receive 3 graduate credits per course. Tuition $1,200 per course with no registration fee. Use Baltimore City Public Schools’ tuition reimbursement application form for each class. An information session will be held at North Avenue in Room 301 from 4:00 to 6:00 pm. Please come out and learn more about this opportunity. Registration will be posted on TSS under a Non-AU credit bearing course. The last Math Works meeting for the school year is May 22nd from 4:00 to 7:00 pm at Poly. Best of luck to our students taking the High School Algebra/Data Analysis Exam on May 21st, 2014. American Reading Company and Success for All will support Professional Development for all Title I Approaching Target Schools during April and May. Upcoming Literacy Representative Meetings: May 15th. Contact your network literacy ACL for specific locations and times. There have been some changes/updates to weekly planning sequence and also updates around curriculum guides. Please remind teachers to check TSS regularly for these updates. Module 4 Assessments will take place the week of May 26th. All Lit Reps receive the tests and an explanatory email a week prior to the test. The test is also posted on TSS for the teachers with directions on how to enter into Datalink. Please remind teachers and Lit Reps to check their email for updates and corrections. 1. MSDE will not support the NGSS until at least 2017-2018, meaning that we will phase in new curriculum between now and then. 2. The Educators Evaluating the Quality of Instructional Products (EQuIP) rubric was released in April by Achieve, authors of NGSS. This is the only sanctioned tool that will evaluate the alignment of curricular and supplemental resources to NGSS. The science team will use this when selecting and designing resources for future curricula. More information can be found at www.tinyurl.com/NGSSEquip. 3. Curriculum writing will commence this summer in grades 1, 2, 6, and HS Physics. After a year of writing, the curricula will be piloted in schools. 4. While not all grades and content areas will receive curricular updates at once, the science team plans to design and share materials with all grades and content areas so that teachers and students can conduct common investigations and design challenges at key points throughout the 2014-2015 school year. These will be aligned to NGSS. Members of the Green Teaching Team should plan to attend the team meeting on May 8th between 11:30am and 1pm at City Schools headquarters in room 317. Curriculum writing for the Next Generation Science Standards will commence this summer on July 7th. If you are a teacher interested in writing science curriculum in grades 1, 2, 6, or HS Physics please contact Nick Greer, Director of Science (ngreer@bcps.k12.md.us). Work is progressing for ESY (extended school year) for summer 2014 special education students ages 3-5. We are developing curriculum for that age-group based on teacher feedback from last summer. Work is progressing for staffing for Infants and Toddlers service providers, IEP teams, evaluation centers, assessment teams, and PIES classroom instruction for summer 2014. Professional development for both ESY special education teachers and paras and Infants and Toddlers service providers and special education teachers will take place the week of June 23rd. Early Learning Programs will be developing and presenting professional development. The new Kindergarten assessment from MSDE has been renamed R4K (Ready for Kindergarten). Our Kindergarten teachers who will be trainers and the Early Learning Staff will participate in a "train the trainers" model given by MSDE in early May. The Office of Humanities proudly represents the areas of Advanced & Gifted Learning, ESOL, Libraries, Social Studies, Visual & Performing Arts, and World & Classical Languages. This year, the Office of Humanities has been working with Discovery Education to train City Schools first cohort of Discovery Education Network (DEN) Stars. More than 40 teachers from across all grade levels and contents have been learning about the electronic resources available from Discovery and how to use them in innovative ways. To learn more about the program, visit www.discoveryeducation.com/community. A review of world languages and ESOL supplemental material was completed and a list generated for Board approval. Curriculum and assessments are in the planning stage for ESOL Grade Band 1 and 2 as well as AP and Level III Spanish and French. The writing committee will spend the last two weeks in June creating the units for these curricula. On this day approximately 300 8th grade students from Baltimore City Public Schools will be presenting a History Field Day in Patterson Park. 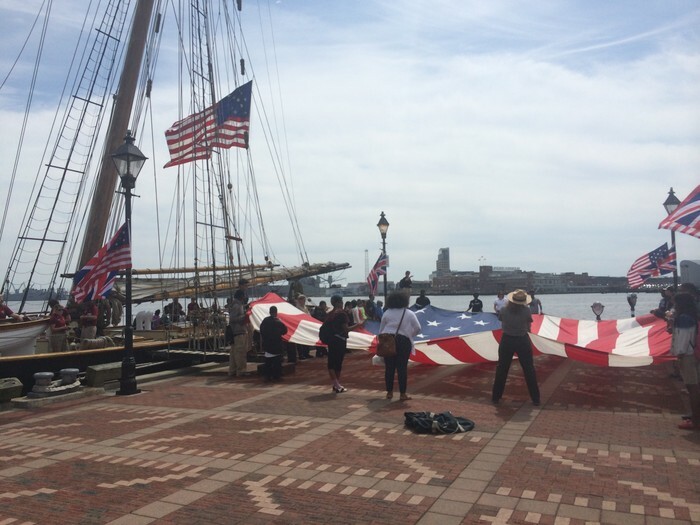 Seven schools within the city have been doing research on the War of 1812 and will be presenting that research to 5th grade students in the form of a History Field Day. Topics include African Americans during the War of 1812, Maritime Industries, Children during the War of 1812, Foreign Policy and more! Highlandtown #215 will be presenting the results of the archaeological dig that they will be performing in Patterson Park with the Baltimore Heritage Area. We have been using the Reading Like a Historian program from Stanford University in secondary social studies for this past year. Recently City Schools was used as an example by Stanford University in one of their articles. National History Day State Competition, UMBC, May 3, 2014, 8:30 a.m. - 3:00 p.m.
On Saturday, March 15th 336 students from 20 high schools took part in 3-hour Mock AP exams in preparation for the real thing in May. This number is an increase of about 200 students over the last two years. Students were tested within nine separate areas of study: Biology, Calculus, English Language, English Literature, Spanish Language, Statistics, U.S. Government, U.S. History, and World History. In addition, 35 teachers were trained by experienced AP Readers associated with the aforementioned tests and all tests were scored and returned to schools/students that Monday in order to shape the direction of future study prior to the May exams. Special thanks should be given to the Directors of Humanities and Science, the Coordinator of Mathematics and the Humanities team who assisted with proctoring and scoring duties. The third offering of City School’s AP Summer Academy is slated to run for six weeks from June 23rd to August 1st. More than 300 students across the district, rising freshmen through rising seniors, applied prior to the registration deadline of January 30th. Many of those selected for the academy will be eligible to receive payment through our partnership with YouthWorks for their participation in the academy. Ten separate courses of study will be featured this summer ranging from AP Computer Science to AP World History. In addition, all students will visit six colleges/universities (UMD, UMBC, Towson, Morgan, Goucher, and JHU) during the academy in an effort to provide them with the much needed exposure to the options that exist. Soccer Without Borders Baltimore City began in the fall of 2009 in response to various state, local, and non-profit agencies that serve the city’s burgeoning refugee population identifying a need for positive recreational programming for area refugee youth. In response, SWB Baltimore emerged to provide opportunities in the form of soccer, simultaneously encouraging healthy living while developing English-language abilities, teamwork, academic success, and cross-cultural skills. Tickets are $75.00 and can be purchased online at http://www.soccerwithoutborders.org/baltimore/. The 21st Century Library Workgroup has met to develop an action plan for Baltimore City school libraries. 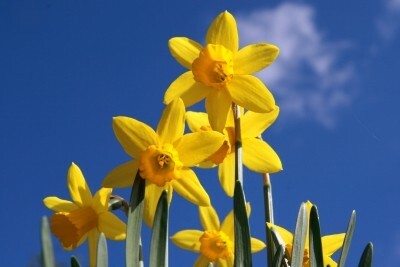 The workgroup will continue to meet throughout the spring months. Our District-Wide Art Exhibit will be held from May 6-11 at the Baltimore Museum of Art. A reception will be held on May 10 from 1:00-4:00pm. Dunbar High School received their Project Lead the Way (PLTW) Biomedical Sciences program certification in December. The Restaurant Association of Maryland recently announced the winners of the 60th Annual McCormick & Company Stars of the Industry Awards. Faith Kling, culinary teacher at Edmonson Westside High School was awarded 2014 ProStart Teacher of the Year. Ms. Kling is a nominee for the National Competition, having been awarded the Maryland award. Carl D. Perkins Local Plan for Improvement Grant Proposal is due to MSDE on Friday, May 16.